For 33 years, John has been one of Kentucky’s premier trial attorneys. 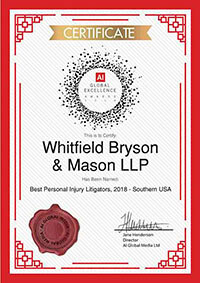 He has represented numerous injured parties in the Paducah, Ohio Valley and Western Kentucky areas. He has concentrated primarily on complex civil litigation cases, and over his career has brought to settlement or judgment over 30 cases in excess of a million dollars each. John is certified as a civil trial specialist by the National Board of Trial Advocacy and has represented individuals in all walks of life against negligent workplace practices, reckless physicians, predatory businesses, and inattentive automobile drivers among many others. John graduated with distinction from the University of Kentucky with his undergraduate degree before attending law school at the university. 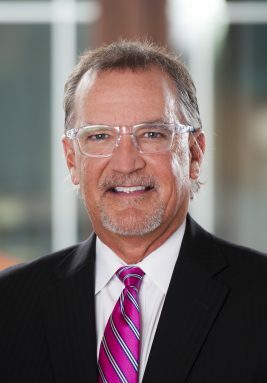 Throughout his career, John has represented scores of patients who have been the victims of medical negligence, obtaining verdicts and settlements in both state and federal courts. He has handled cases for landowners victim to fraudulent mine royalty practices, for homeowners whose homes and business contained defective concrete, and for Kentucky residents who were overcharged for premium insurance taxes. John is a frequent lecturer of litigation subjects with the Kentucky Justice Association and American Association for Justice, and has been recognized as a Kentucky Super Lawyer multiple times. He is AV rated by the Martindale-Hubbell rating service. Lead Counsel in a products case where the design flaw of a shuttle car resulted in the death of a miner, resulting in a $625,000 settlement. Lead Counsel in a case involving negligent nursing supervision of intensive care monitoring, resulting in a confidential six figure settlement.